In exploring Virilio’s most important architectural ideas and their impact, John Armitage traces his engagement with other key architectural and scientific thinkers such as Claude Parent, Benoit B. Mandelbrot, and Bernard Tschumi. 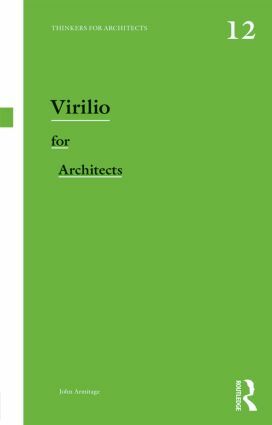 Virilio for Architects allows students, researchers, and non-academic readers to connect with Virilio’s distinctive architectural theories, critical studies, and fresh ideas. John Armitage is Professor of Media Arts at Winchester School of Art, University of Southampton. He is the author and editor of numerous books on the work of Paul Virilio including Virilio and the Media and The Virilio Dictionary.